Less than 24 hours after securing the biggest win of his career against World No. 5 Dominic Thiem, Dusan Lajovic defeated Lorenzo Sonego 6-4, 7-5 to reach his first ATP Masters 1000 semi-final on Friday. The Serbian was forced to save one set point at 4-5 (30/40) in the second set en route to his 10th tour-level victory of the season after one hour and 47 minutes. Lajovic was competing in his second Masters 1000 quarter-final, following his run to the Mutua Madrid Open quarter-finals last year (l. to Anderson). Yet to drop a set this week, Lajovic will meet countryman Novak Djokovic or 10th seed Daniil Medvedev for a place in the championship match. Lajovic managed to win one game in his most recent FedEx ATP Head2Head meeting (0-2) against Djokovic in the first round at this event last year. The World No. 48 lost his only previous FedEx ATP Head2Head encounter against Medvedev at the VTB Kremlin Cup last year. Prior to his arrival at the Grand Prix Hassan II last week, Sonego had reached one tour-level quarter-final. But the Italian qualifier has produced the best tennis of his career to reach back-to-back quarter-finals in Marrakech and Monte-Carlo. Three days ago, Sonego claimed the biggest win of his career against Rolex Paris Masters champion Karen Khachanov. If Djokovic defeats Medvedev, Lajovic and the World No. 1 will become the first Serbian pairing to advance to the last four of a Masters 1000 event since the 2012 Rogers Cup. On that occasion, Djokovic defeated countryman Janko Tipsarevic in the semi-finals before cruising past Richard Gasquet to lift the trophy. Guido Pella is playing the best tennis of his life. The 28-year-old, who became a first-time ATP Tour champion at Sao Paulo in March, is into the quarter-finals of an ATP Masters 1000 tournament for the first time. But the lefty knows that his next test at the Rolex Monte-Carlo Masters will arguably be one of the toughest he has ever faced, as he gets set to play 11-time champion Rafael Nadal. It won’t be the first time Pella has stood across the court from the second seed, having done so at Indian Wells two years ago and Roland Garros last season. In order, Nadal has won their five FedEx ATP Head2Head sets 6-3, 6-2, 6-2, 6-1, 6-1. The Spaniard has won 23 consecutive sets on Court Rainier III in Monaco, without any of those sets getting extended past 6-4. Pella suffered what could have been a major mental setback in February. After losing his first three ATP Tour, finals, the Argentine led Juan Ignacio Londero by a set and a break in the Cordoba championship, closing in on a breakthrough. But Pella could not hold on, finishing runner-up once more. In March, Pella bounced back by triumphing in Sao Paulo. It’s been a magical ride over the past year or so for Pella. 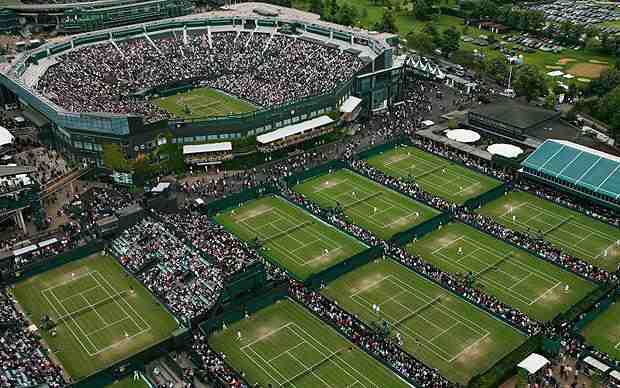 Marin Cilic won the first two sets of their match at Wimbledon 6-3, 6-1, before rain suspended play during the third set. The next day, Pella found his best level to oust the Croat, and he hasn’t looked back since. Pella also beat Cilic this week in Monte-Carlo. Pella is projected to crack the Top 30 of the ATP Rankings for the first time on Monday. But he’s not worrying about that at the moment. He’s fully focused on Nadal. Lukasz Kubot and Marcelo Melo were the only seeded team to advance on Thursday at the Rolex Monte-Carlo Masters, as two other veteran pairs fell in straight sets. Melo and Kubot, the second seeds, beat Austrian wild cards Jurgen Melzer and Dominic Thiem 6-3, 6-4 in 66 minutes. The Polish-Brazilian duo arrived in Monaco having won just one of three previous matches at the ATP Masters 1000 tournament. But Kubot and Melo are through to the quarter-finals without dropping a set. They have found great rhythm in the past month, making the final of the BNP Paribas Open and the semi-finals of the Miami Open presented by Itau. Kubot and Melo began the week in sixth place in the ATP Doubles Race To London, and they can climb as high as third if they lift the trophy. Against Melzer and Thiem, Kubot and Melo did well to consistently earn chances in return games, converting on three of 11 break chances in the match. The highest-seeded pair remaining also won an impressive 79 per cent of second-serve points (11/14). While Kubot and Melo faced little difficulty, fourth seeds Juan Sebastian Cabal/Robert Farah and sixth seeds Henri Kontinen/John Peers were upset. Brazilian Marcelo Demoliner and Russian Daniil Medvedev (also a singles quarter-finalist) ousted 2018 Nitto ATP Finals qualifiers Cabal and Farah 6-2, 6-4. Entering the tournament, Demoliner had lost four consecutive matches at all levels with three different partners. This is the second time he has partnered Medvedev (2018 Brisbane, l. first round). Argentine Diego Schwartzman and Portuguese Joao Sousa beat Kontinen and Peers 6-4, 6-3. This is the first time they have competed together. Before this event, the pair combined for a 110-172 tour-level doubles record, with neither player winning a title. Sousa reached the Rome final last year with Pablo Carreno Busta. In other action, Moldovan Radu Albot and Georgian Nikoloz Basilashvili defeated Hungarian Marton Fucsovics and Argentine Guido Pella 6-1, 6-7(7), 10-6. 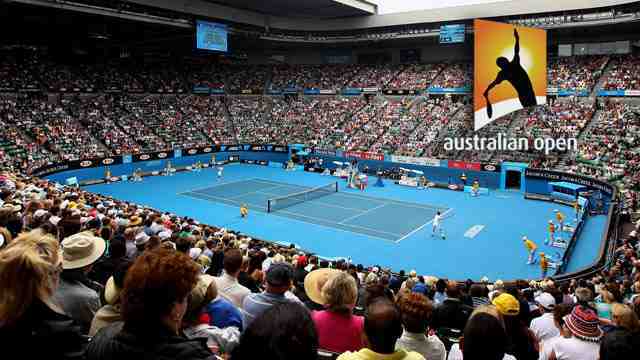 Albot and Basilashvili won 50 per cent (4/8) of their return points in the Match Tie-break to triumph. Top seed Novak Djokovic and second seed Rafael Nadal are among the top names in action at the Rolex Monte-Carlo Masters on Friday, when all singles and doubles quarter-finals will be played. Djokovic continues his quest for a third Monte-Carlo title against tenth seed Daniil Medvedev of Russia. The Serbian leads their FedEx ATP Head2Head rivalry 3-0, but this will be their first match on clay. Djokovic shook off the clay rust in his opening-round clash with Philipp Kohlschreiber and rounded into form with a dominant victory over American Taylor Fritz on Thursday. Medvedev has also been highly impressive. The World No. 14 dropped five games in his first two rounds and then took out sixth seed Stefanos Tsitsipas of Greece for his berth in the last eight. The Russian is the first player this season to pick up 20 match wins, but is looking for his first Top 5 win in two years. Nadal seeks to move closer to a 12th title at this event when he faces Guido Pella. The Spaniard leads their FedEx ATP Head2Head series 2-0. Pella has been a force on clay this season, winning his first ATP Tour title at the Brasil Open (d. Jarry) and scoring a Top 15 victory this week over Marin Cilic en route to the quarter-finals. Nadal, as usual, has been dominant from the first ball in Monte-Carlo. He’s dropped seven games in his first two matches and is on a 17-match winning streak on Court Rainier III. Dusan Lajovic of Serbia and Italian qualifier Lorenzo Sonego open up play on Friday. Lajovic scored his first Top 5 win against Dominic Thiem to move into the last eight, while World No. 96 Sonego has won all of his main draw matches without dropping a set. The Serbian seeks his first Masters 1000 semi-final, while Sonego aims for his first ATP Tour semi-final. The final match of the day will see ninth seed Borna Coric of Croatia take on 13th seed Fabio Fognini of Italy. Fognini won their lone FedEx ATP Head2Head meeting five years ago on the red clay of Umag. The Italian has turned his season around after arriving in Monte-Carlo having lost seven of his past eight matches, upsetting third seed Alexander Zverev to reach his fifth ATP Masters 1000 quarter-final. Coric has spent more than eight hours on court to move into his first Monte-Carlo quarter-final and continues to increase his level with each match. 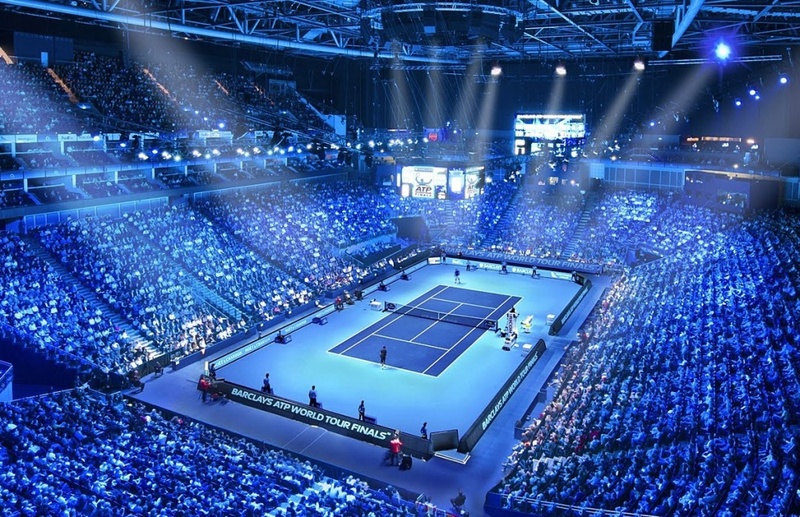 Second seeds Lukasz Kubot / Marcelo Melo and third seeds Jamie Murray / Bruno Soares are among the top doubles teams who will take to Court des Princes. Fabio Fognini failed to take a set off Alexander Zverev in their first two FedEx ATP Head2Head meetings. But the Italian broke through in style against the 21-year-old on Thursday at the Rolex Monte-Carlo Masters. In front of an energised crowd on Court Rainier III, Fognini secured 75 per cent of first-serve points (30/40) to defeat Zverev 7-6(6), 6-1 in 90 minutes. Fognini has now reached five ATP Masters 1000 quarter-finals, which include his run to the semi-finals at the Monte-Carlo Country Club in 2013 (l. to Djokovic). Fognini entered the tournament with seven losses in his past eight tour-level matches and trailed Andrey Rublev 4-6, 1-4 in his first-round match. But after his first win over a Top 3 opponent since his victory over then-World No. 1 Andy Murray at the 2017 Internazionali BNL d’Italia, Fognini is one win away from a return to the last four in the Principality. The World No. 18 will meet ninth seed Borna Coric in the quarter-finals. Fognini defeated Coric in their only previous FedEx ATP Head2Head clash at the 2014 Plava Laguna Croatia Open Umag. The Croatian advanced to his second straight Masters 1000 quarter-final after one hour and 41 minutes, saving all three break points he faced to beat Pierre-Hugues Herbert of France 6-4, 6-2. Coric also reached the last eight at the Miami Open presented by Itau last month, beating Nick Kyrgios in three sets before a straight-sets loss to #NextGenATP Canadian Felix Auger-Aliassime. With qualifier Lorenzo Sonego also advancing to the last eight, two Italians are into the Monte-Carlo quarter-finals for the first time since 1978, when Corrado Barazzutti and Adriano Panatta accomplished the feat. Dusan Lajovic reached his second ATP Masters 1000 quarter-final on Thursday, upsetting fourth seed Dominic Thiem 6-3, 6-3 at the Rolex Monte-Carlo Masters. The 28-year-old saved seven of nine break points and broke last year’s Roland Garros runner-up on five occasions to advance after one hour and 32 minutes. Lajovic entered the match winless in five FedEx ATP Head2Head record against Thiem, but reached his second quarter-final in the past three Masters 1000 events on clay. Thiem, the recent BNP Paribas Open champion, figured to be a strong threat in the Principality. But Lajovic took full advantage of Thiem’s deep court-positioning, playing aggressive tennis and winning some of the best rallies of the tournament thus far. Lajovic did well to consistently battle into the Austrian’s service games, winning 53 per cent of his return points in the two-setter. The Serbian was also impressive in his second-round victory against 16th seed David Goffin. At last year’s Mutua Madrid Open, Lajovic notched five victories from qualifying to reach the last eight. Lajovic edged Juan Martin del Potro in Madrid en route to the quarter-finals before suffering a three-set loss to Kevin Anderson. Thiem was bidding to post his 10th tour-level win of the season (9-6) and reach his second straight quarter-final at the Monte-Carlo Country Club. Thiem had reached the quarter-finals or better at five of the past seven Masters 1000 events on clay, dating back to his appearance in the last eight at the 2016 Internazionali BNL d’Italia (l. to Nishikori). Lajovic will meet Lorenzo Sonego of Italy for a place in the semi-finals. The 23-year-old qualifier advanced to his maiden Masters 1000 quarter-final after 84 minutes, dropping only four points behind his first serve (28/32) to overcome Cameron Norrie 6-2, 7-5. Sonego is yet to drop a set in the main draw, defeating Cameron Norrie in the third round for his best result at a Masters 1000 tournament. Novak Djokovic and Rafael Nadal breezed into the Monte Carlo Masters quarter-finals, but Britain’s Cameron Norrie could not progress from the last 16. Second seed Nadal eased past Bulgaria’s Grigor Dimitrov in a 6-4 6-1 win on the clay – having now won 23 consecutive sets at the Masters 1000 tournament. Nadal, 32, encountered few problems against Dimitrov, who he has now beaten in 12 of their 13 meetings, as he continued to look dominant on his favoured surface. Bidding for an unprecedented 12th title in the principality, the French Open champion outclassed the former world number four and won eight of the last nine games. Top seed Djokovic converted six of 10 break points against Fritz as he moved closer to matching Nadal’s record of 33 Masters titles. Italian 11th seed Marco Cecchinato was knocked out after a 6-4 4-6 6-4 defeat by Argentina’s Guido Pella, who goes on to meet Nadal. For the third time at the Rolex Monte-Carlo Masters, Rafael Nadal had all the answers to Grigor Dimitrov’s questions. The 11-time champion, who overcame Dimitrov at this event in 2013 and 2018, broke serve on four occasions to defeat the Bulgarian 6-4, 6-1 on Thursday and advance to his 15th quarter-final in the Principality. Nadal improves to 12-1 in his FedEx ATP Head2Head series against Dimitrov, which includes an unbeaten 5-0 record on clay. The Spaniard has now registered 70 wins at the Monte-Carlo Country Club (70-4). 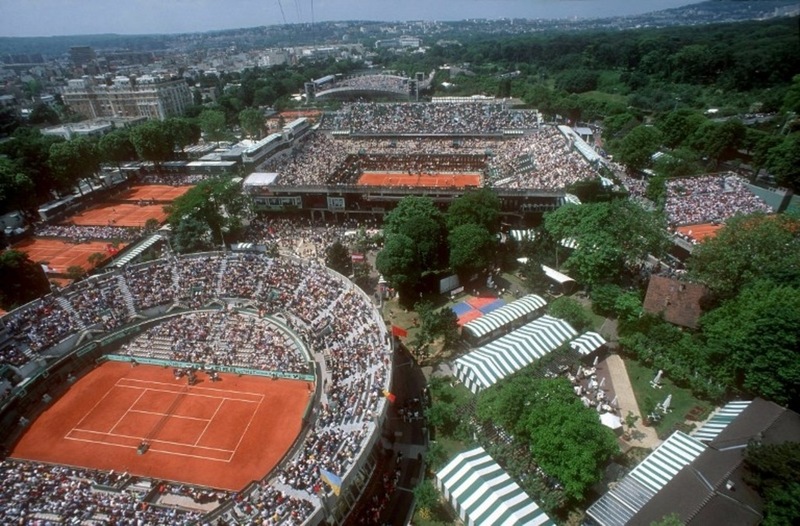 The only tournament Nadal has achieved more victories at is Roland Garros, where the 11-time winner has amassed an 86-2 record. Attempting to win his fourth straight title in the Principality, the Manacor native has won 17 consecutive matches in the Principality. Nadal’s most recent loss at this event came to Novak Djokovic in the 2015 semi-finals. The 80-time tour-level titlist has won each of his past 15 third-round matches at the third ATP Masters 1000 event of the year. The only man to ever beat Nadal in the third round at this event was Guillermo Coria, who defeated the tournament debutant in straight sets in 2003. After saving two break points in his opening service game, Nadal found success attacking Dimitrov’s backhand with depth and heavy topspin to move into a 3-1 lead. But Dimitrov kept his composure, holding to love in his following service game before finding a way back into the set as Nadal committed back-to-back unforced errors. Nadal soon shifted his focus back towards Dimitrov’s backhand corner, extracting errors to claim the first set. From there, the Spaniard applied constant pressure on Dimitrov’s serve. After opening up a 4-1 lead, the Spaniard ripped a forehand winner up the line and drilled a backhand onto the baseline to move one game from the quarter-finals. Nadal converted his second match point after one hour and 34 minutes, forcing Dimitrov into a forehand error. Nadal will face Argentine Guido Pella in the quarter-finals. Pella defeated Marco Cecchinato, for the first time in three FedEx ATP Head2Head meetings, 6-4, 4-6, 6-4 to reach his first Masters 1000 quarter-final. With his 16th win of the season (16-7), the Sao Paulo champion takes sole ownership of fourth place on the list of players with the most tour-level victories this year. Only Daniil Medvedev (20), Roger Federer (18) and Stefanos Tsitsipas (18) have claimed more match wins this year. Sonego did not start playing tennis until he was 11 years old, training with coach Gipo Arbino. The Italian earned his first ATP Ranking point when he was 19, and captured his maiden ATP Tour win at last year’s Australian Open, where he was a 22-year-old qualifier. Sonego grew up idolising Roger Federer and Jo-Wilfried Tsonga. Just last week, the Italian reached his second ATP Tour final in Marrakech and played Tsonga, ultimately losing in straight sets. He enjoyed the experience, though, posting about it on Instagram after the match. Sonego would be a football player. The Turin native’s favourite team is, fittingly, Torino F.C. He visited Camp Nou, the home of F.C. Barcelona, last November. The World No. 96 also enjoys basketball, posting several videos of himself shooting or dunking a basketball on his Instagram page. The Italian just recently cracked the Top 100 of the ATP Rankings, doing so after last year’s US Open. 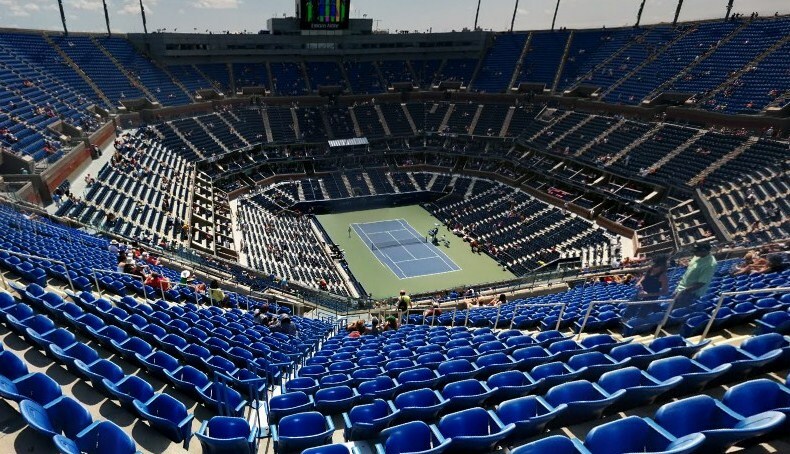 In Flushing Meadows, Sonego qualified and then defeated Luxembourg’s Gilles Muller in four hours and 16 minutes to reach the second round of the main draw. That was the final match of Muller’s career. Sonego will break into the Top 70 for the first time on Monday thanks to his performance in the Principality. If the two-time ATP Challenger Tour titlist advances to the semi-finals, he will likely crack the Top 50. Sonego lost to rising Russian Karen Khachanov in the second round of last year’s US Open. But the 23-year-old got his revenge against the World No. 12 in Monte-Carlo, defeating Khachanov in the second round. On his favourite surface, clay, Sonego won 42 per cent of first-serve return points against the eighth seed, saving seven of the eight break points he faced. In their US Open match, Khachanov lost just five first-serve points in three sets. Sonego enjoys taking holidays to Sardinia, an island off the coast of Italy. This may not be a surprise, but the Italian’s favourite food is lasagna.